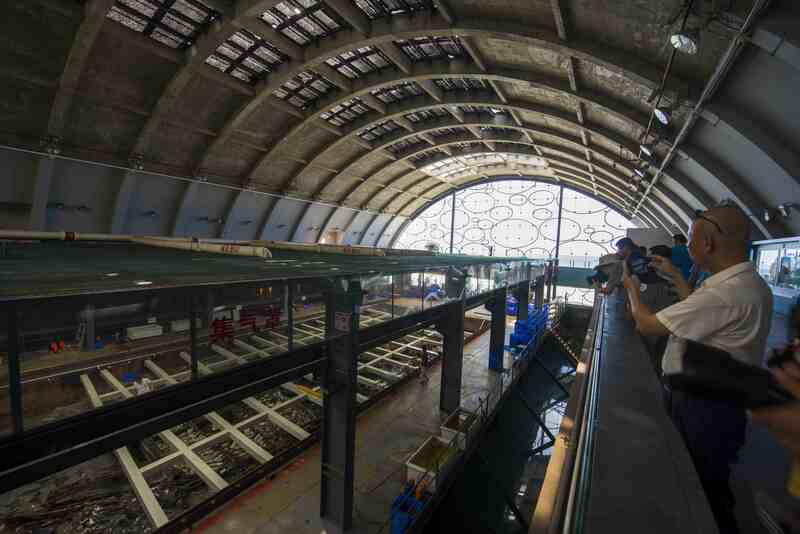 And archeological relics found throughout the Belt and Road region are proof of the cultural exchanges and economic ties that had already bound Asia and Europe centuries ago. The ancient Silk Road actually does not refer to one single road, but rather to a road network that threaded across eastern, central and western Asia all the way to the Mediterranean. Just like the modern-day Silk Road Economic Belt and the 21st-century Maritime Silk Road, there were two general paths: By land and by sea. 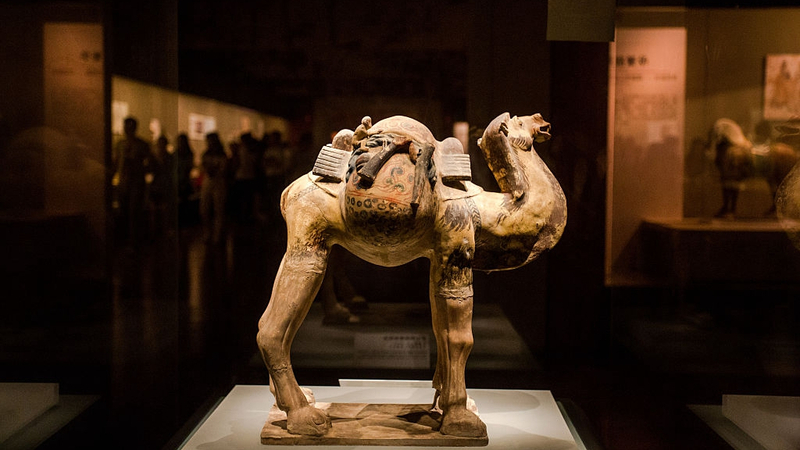 At one of the key crossroads lies Dunhuang, which boasts bountiful cultural relics that demonstrate the ancient trade and cultural communications along the Silk Road. 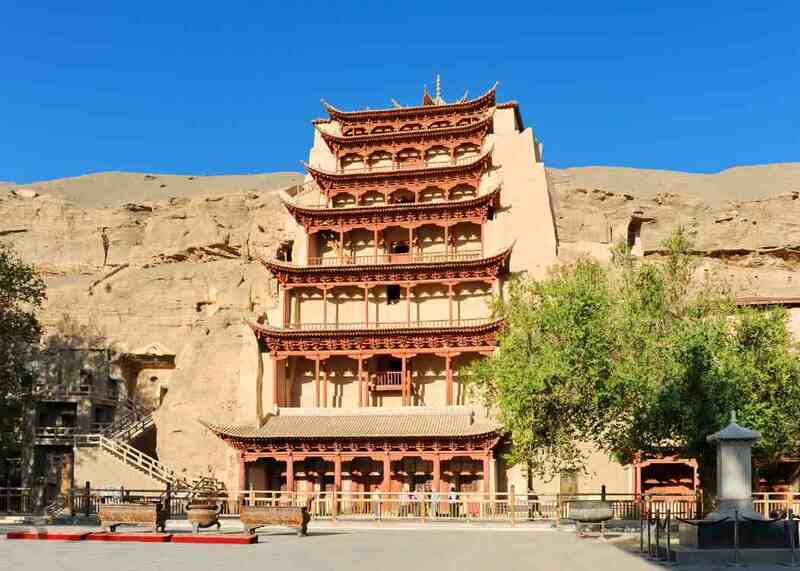 Among its well-known sites are the Mogao Caves, which feature frescoes depicting traveling merchants, cargo being transported on horse- and camel-back, and other commercial activities. The costumes and social lives of the people along the Silk Road are also reflected in the paintings. 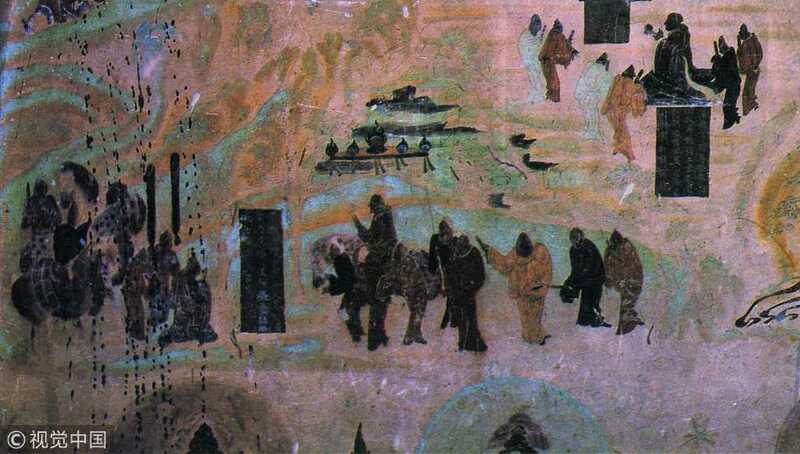 One can even see Zhang Qian, a royal envoy during the Western Han Dynasty (202 BC- 8 AD), as he bade farewell to Emperor Wu before starting his journey to the West. 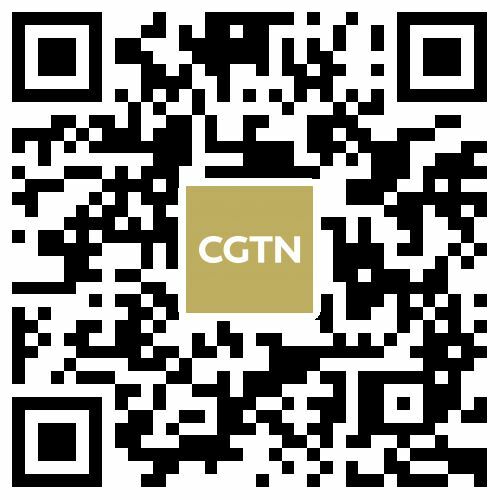 Zhang's mission was to build an alliance with Yuezhi, an ethnic group based around where are known now as northwestern Gansu Province and Xinjiang Uygur Autonomous Region. The effort was designed against the Xiongnu, an ethnic nomadic people then living in what is known as norther Inner Mongolia Autonomous Region today, and who were known for their military power and frequent invasion to the neighboring regions. 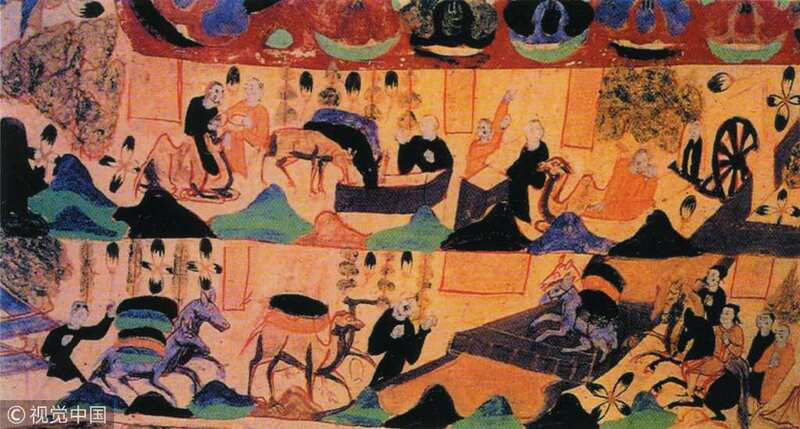 Zhang's dangerous journey lasted 13 years, but his route was marked and later traveled by more people in the area, and the Silk Road was thus formed. The silver kettle and gold ring from ancient Persia and gold coins from the Byzantine Empire stored at the Guyuan Museum of Ningxia. /Photo courtesy of Guyuan Museum of Ningxia, frame and background design by Gao Hongmei. 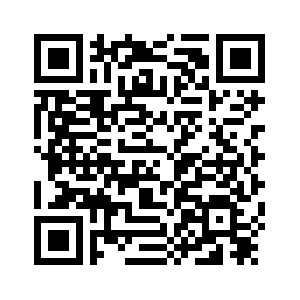 Please do not use this photo without official authorization. Over 1,100 kilometers to the southeast of Dunhuang, at the Guyuan Museum of Ningxia in Guyuan city, Ningxia Hui Autonomous Region, cultural relics unearthed in the region also point to the cultural exchanges on the Silk Road – from a silver kettle to a sapphire ring from ancient Persia and gold coins from the Byzantine Empire. The maritime Silk Road saw the light of day even before its land-based counterpart. Established during the Qin and Han dynasties (221 B.C.-220 A.D.), it ran from southeast China through the Strait of Malacca and west towards the Indian subcontinent in southeast Asia. For the 21st-century Maritime Silk Road, it goes even farther to Nairobi in Africa, before heading north through the Red Sea towards Athens and Venice in Europe. In 2007, a Southern Song dynasty (1127-1279) ship, believed to have embarked on the Maritime Silk Road, was found in the waters of Guangdong Province. 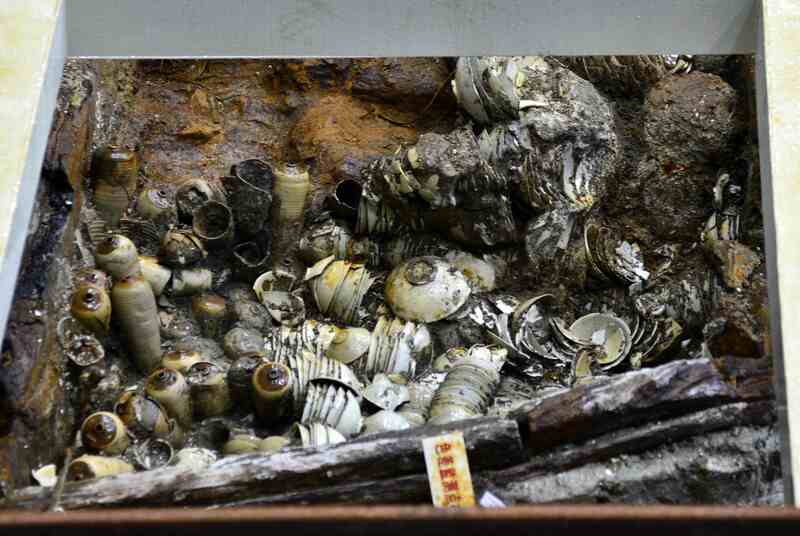 On board the "Nanhai One" merchant ship were pieces of refined porcelain, ironware, jade, gold and silver items, coins, and more. By March 2019, more than 140,000 artifacts had reportedly been recovered. Archeologists speculate the ship had loaded the cargo for trade in the west before it sank in an accident at sea. DNA tests on human bones found last year on the ship meanwhile excluded that the person was Asian. Experts have said this suggests there were foreign sailors on board the vessel, reflecting the openness and prosperity of the era. From cultural relics and historical sites like these, it is clear that the Belt and Road is not just a theoretical concept. The ancient Silk Road connected East and West for centuries and still functions today as a bridge, not only for the economy, but also for cultural and people-to-people exchanges.